There are many ways to skin a cat. I suppose this is true, because that's a saying I've heard a few times. It holds true again here when it comes to aerating one's wine. There are many ways to do it, yet, thankfully, none of them involve cats or knives. The most common way to aerate one's wine is by using the wine glass itself. You've seen this or you've done it. You pour the wine into a sizable wine glass and swirl it to introduce oxygen into the wine. This allows it to "breathe" (be exposed to more oxygen) often releasing a larger variety of aromatics. Wine evolves undeniably when exposed to oxygen and so this swirl expedites that process a bit. A decanter, which can also be used to separate a wine from its sediment can be used to expose wine poured from a bottle to more oxygen by simply increasing the surface area. 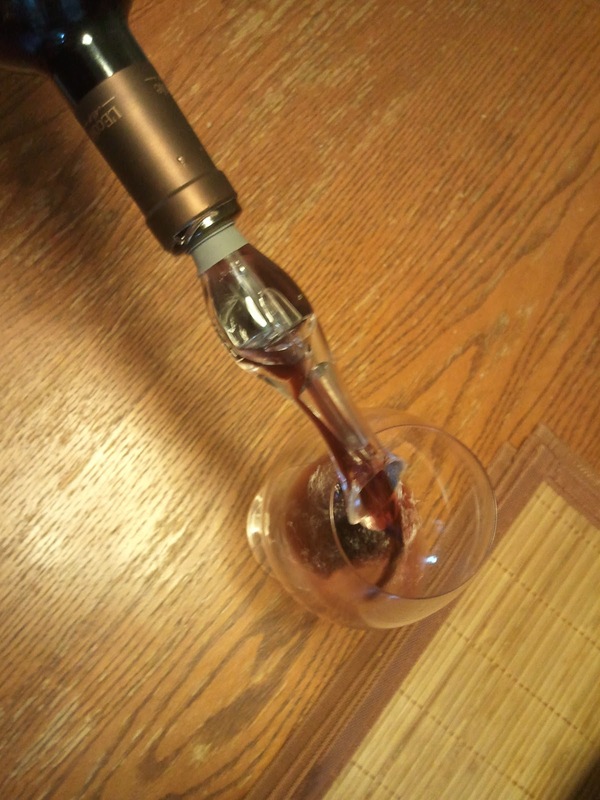 This has the same effect as swirling your glass but can allow more wine, up to a bottle, to breathe at once. The industry stance on these aerators is that they are a reaction to a wine industry economic reality. Younger and younger wines are being released as wineries are pinched for cash and simply can't hold on to inventory to let bottle aging do its magic. These aerators simply make these young, often very big wines more drinkable now. Similar to the Vinturi is a new aerator that sits in the bottle and simply aerates the wine as you pour it, the Host from True Fabrications. 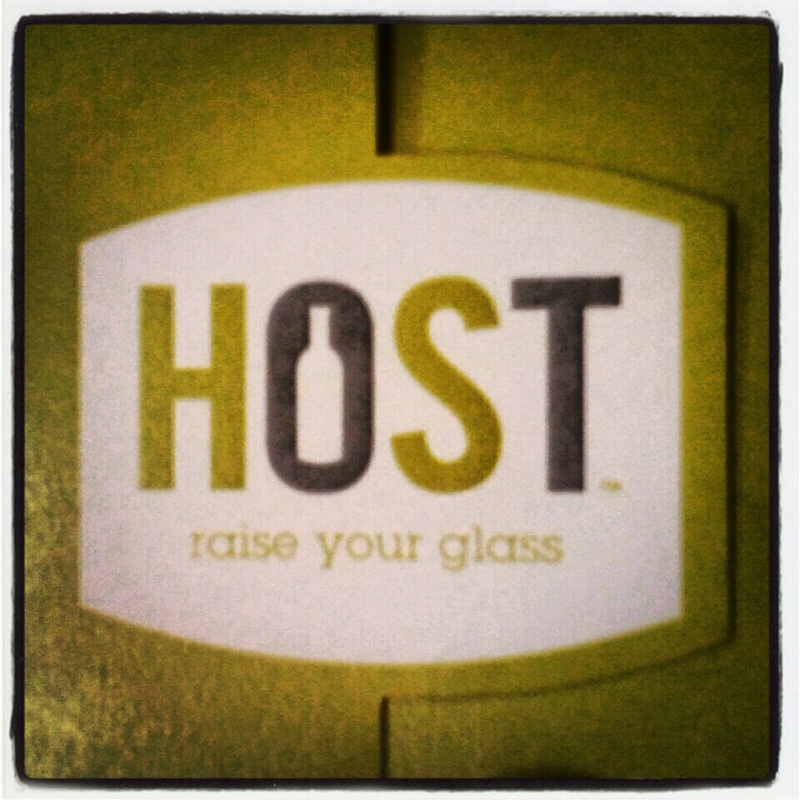 Where the Host differs from others is that it has variable aerating options. And, perhaps more conveniently you just use it as a pour spout, moderating the amount of aeration that the wine gets based upon the angle of your pouring. So, does it work? Absolutely it does and I would say from my personal experience that it's a perfect solution for when you can't decant a wine, be it because you don't own a decanter, because you're not going to consume an entire bottle or because you're thirsty right now and waiting for the wine to breathe just is not your bag. I used the Host on a couple wines and found the results to my liking. In the case of the first wine, the God King Slave, a Tempranillo and Syrah blend from Southern Oregon, the wine transitioned from more fruit up front, to more earthen and leather aromatic characteristics. As the wine opened up it became more complex in its flavor presentation. This is a well made wine and it's not overtly tannic so I noticed less impact on the palate regarding "loosening the wine up." The Host similarly did a fine job helping breathe life into a Bordeaux style blend from L'ecole 41, the Perigee. At a 2008 this is a fairly young rendition of this wine and the Host helped to peel back a few layers of fruit to expose some more subdued earthen and cedar character. My final statement on aerating wines: DO NOT aerate Pinot Noir. It's far too delicate, just let it open up on its own. That's a wine that should not be rushed. Here's the real deal. We'll be giving away three Host aerators to our readers this week. To be eligible make sure you "Like" us on Facebook and keep your eyes peeled for our contest details there. Did I miss my chance to win an aerator or is the contest still running?